At one time quilts were born of necessity- keeping families warm and comfortable on cold nights. As time passed and more materials were available, the quilts became cherished heirlooms. Barn Quilts are much the same- they are a statement, a symbol of identity whether you are a traditionalist or prefer a more modern twist. Join Renee in recreating a Quilt Square of your own! 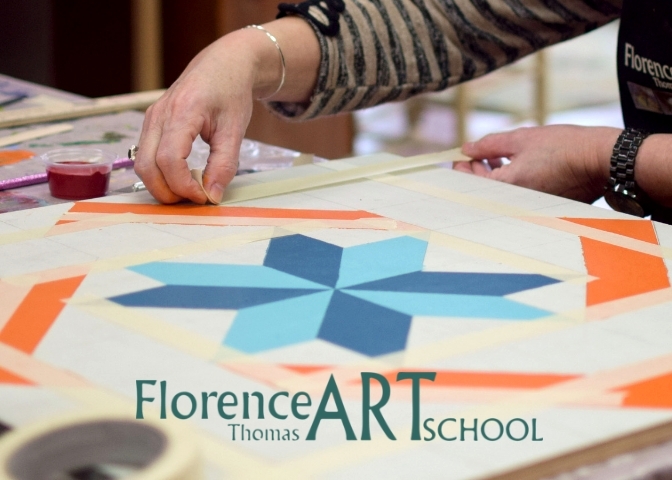 $115 All materials provided, register online or call 336.846.3827.